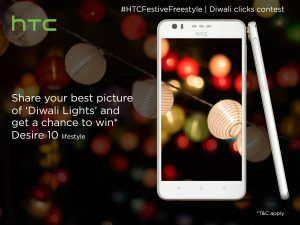 HTC India, a global leader in mobile innovation and design has unveiled week-long Diwali celebrations –HTC Festive Freestyle: Diwali Clicks on its social media platforms from October 24- October 30 this year. The week long festive bonanza includes a series of contests where participants can share their Diwali celebrations photographs on 3 themes: lights, sweets and Rangoli. The contest is in line with their innovative Freestyle layout theme available on most of its latest smartphones which enables users to experience unprecedented level of customization. 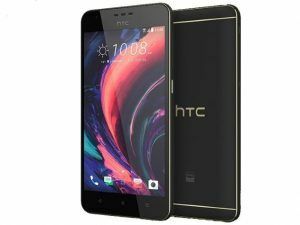 The most popular 2 images across each category will win They recently launched HTC Desire 10 Lifestyle smartphone. 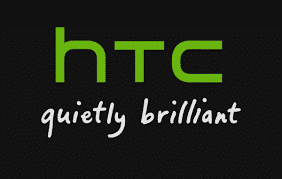 The Desire 10 Lifestyle brings stunning design and flagship-level features to HTC’s widely praised Desire family of smartphones along with the legendary BoomSound™ Hi-Fi Edition, made popular on the flagship HTC 10, plus 24-bit Hi-Res audio that delivers powerful, crystal-clear audio performance on both the external speakers and headphones. The HTC Desire 10 Lifestyle is currently available on both Amazon.in and e-store at Rs15,990. Inspired by the Art Deco movement in art and design, the Desire 10 Lifestyle captures the spirit of luxury and modernism: bold, precise, geometric metallic lines – influenced by the same contours as the world-renowned HTC 10 – framed by elegant colors and sophisticated materials in a smartphone that inspires with alluring looks on the outside and powerful technology on the inside. Just as Art Deco evolved the art world’s expectations of elegance and sophistication, the Desire 10 evolves what you can expect from an HTC Desire. Interested participants can use the #HTCFestiveFreestyle to post their entries during the week on HTC India Facebook page https://www.facebook.com/HTCIndia/. Winners will be announced in the 1st week of November this year.